Today I was driving for 90 minutes from Mullingar in Co Westmeath, Ireland to Mountbellew in Co Galway. I had the radio on and was switching stations every now and again so that I would have music all the way home. I received so many signs and messages on my trip. It was very exciting and I felt very "connected." As you know we are always receiving messages, guidance and confirmations from our loved ones, our angels, our higher self, the Universe and whoever else comes to mind for you. The first song that I heard was by Big Tom who is an Irish country music singer. I am not a big fan of his but the words caught my attention. "You can't take it with you when you go. We're going out the same way we came in, don't matter who you know or where you've been. Makes no difference who you are...........We are born into this world without a thing, and we leave it just as naked as we came". I may as well give you the link! https://www.youtube.com/watch?v=HKB89ItJuAQ Food for thought there. Now and again I glanced at the numbers on the speedometer, not consciously asking or looking for messages, just I guess to make sure I was within the speed limit. 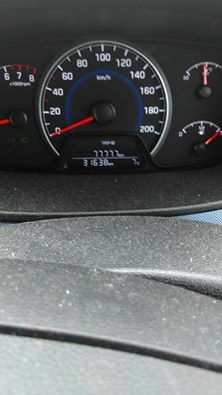 At one stage the mileage was at 77758. I love to see repeating numbers, they are mostly my signs. 777 means - Congratulations. You have listened well to your Divine guidance and have put that wisdom into fruitful action. You're now reaping the rewards. Your success is inspiring and helping others, so please keep up the good work. I was delighted to see it and thanked Spirit for confirmation and congratulations. Having said that, remembering another day when I pulled in wondering where a certain premises was situated a car came along with the registration number 777. I had asked Spirit to give me some sign or to send a person whom I could ask for directions so they sent the car!!! You are on the right path, was the message, so I continued on the road I was taking and a few hundred yards further along was a big sign for the place I was going!! So just ask and you will receive help with everything that you need, even small, mundane, physical things. Spirit will find a way of showing you the way! Anyway, back to today. 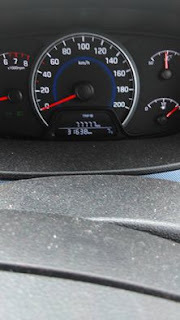 A little further on I glanced at the speedometer again and this time there were four 7's there - 77776. Now I definitely had to take a photograph of that!! I pulled in at the next gate, which was right beside me, took my phone out of my bag and went to take the photograph. My God. The clock had moved up one little digit to 77777. Mad or what??? AND the temperature was 7 degrees. So amazing. I love how these "coincidences" happen!! 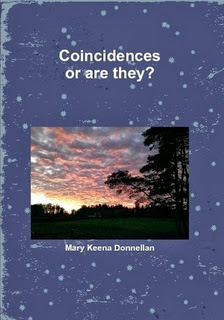 I get really excited because I know there are no coincidences. Now to give you the meaning of two sevens. 77 - Congratulations, you're on the right path mentally and physically. Stick to your intentions and stand your ground. One 7 on its own - You're on the right path. Keep up the good work. All of these meanings are from Angel Numbers book by Doreen Virtue and Lynnette Brown. So watch out for your 7's from now on. Needless to say I was flying high for the rest of the trip. Switching radio stations again a song called Ruby came on by Kenny Rogers. 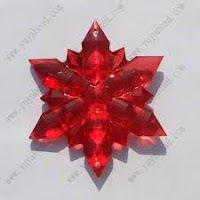 This crystal and word has personal meaning from me, from a meditation I had a few years ago, in which I was given a very strong and clear message. I took it that what was given to me in that meditation is unfolding nicely! Very grateful once again for that. Also Ruby was the kitchen maid in a series called Upstairs Downstairs on TV when I was growing up. So I guess I was a kitchen maid in a past life, so I am aiming for the position of Queen this time around, as Ruby is a royal stone too!! I loved that programme and Ruby too. Further along I saw a sign for a car wash called Dolphin Car Wash. Dolphin energy is playful energy. "Lighten up and have some fun." Spirit certainly was showing me a fun way of getting from one destination to another. Dolphin's message too is one of peace and harmony. 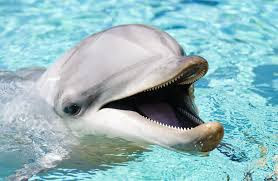 If you would like to delve deeper into his messages just google Animal Totem Dolphin and check out a few different websites. I then accidentally tripped across a political interview! Not my cup of tea at all! There's an election coming up in Ireland at the end of February. Once again the words caught my attention. "Onwards and Upwards. We can't go back to where we were." Very interesting. I have started a book called Onwards and Upwards which needs to be finished. Most definitely, we cannot go back to where we were. Any of you who are consciously walking a new path will know that there is no going back to the old way of being, seeing, doing and speaking. You have worked too hard to fall back into your old ways. It is only forward movement for all now. The Universe will not let you fall back. It will push you forward, so make it easy on yourself. Remember what you have learned so far, remember the hard times, how you pushed against change and how change brought you to where you are now. Change is good!! Some agree, more disagree. This brings me to the overall message of this blog because it is what I was thinking about before receiving the 77777 message so profoundly. I had sent a reading to a client in which there was a repeating message of Perception. How we see things and could we find a new way of seeing? Seeing the blessings in a situation and not the obstacles and negatives. Seeing the situation as a learning experience, seeing it as part of our growth, as part of our soul's contract. Asking ourselves "what is my soul's perspective on this? Have I to love myself more? Have I to forgive someone, forgive myself? Could I see others as soulmates who have arrived to help me be a better person or vice versa instead of nuisances in your life? Do I need to assert myself more, do I need to take back my own personal power? Am I repeating patterns of my past or the past of my ancestors? Am I helping to bring change to my community? What is my soul's perspective? What is the new way of seeing this? Do I always blow forty fuses when in a situation like this? Does it get me the results that I need? Could I be more at peace than I am now?" There are so many different perspectives on everything, which is good, but which perspective brings you to a place of peace, joy and happiness? Wouldn't that be the best way of seeing? The message is to expand our way of seeing the picture of life. Just because it has always been "this way" doesn't mean that it will stay that way. Again, ask your higher self, guides, Universe, Angels and Loved Ones to give you a better, new way of perceiving if you need guidance, then continue on with your day, breathing, relaxing and knowing that your answers will come and they will find a way to get your attention! You are also receiving help in your sleep time and your night time dreams. So the message is to catch ourselves being in the old way and switch our thoughts around quickly, like switching a light switch, cancelling any negative mindsets as best we can and turning our perspectives to the new way of seeing. It also drew our attention to "what you put out there, you get back". The Law of Attraction. So if you expect the worst, you get the worst. If you think that "nothing ever goes right for me" you will have obstacles all the way. Changing the mindset to "everything is always working out for me" (Abraham Hicks), will lift you and help you expect the best. Spirit will help you too with their signs and synchronicities, as shown on my road trip home. examples of how Spirit taught me their signs. It is available on Amazon, here on my website, on Lulu.com and many other websites. Check around as each site has a different price. You will decipher your own signs as you go along too. My book is a light, teaching, book incorporating some of my own experiences, until you develop your own intuition and receive your own "wow" messages.